 Tickets may be purchased online only at Bluesfromthetop.org. VIP Experience $100 per ticket. GA Tickets available for $35.00 - $55. Please note ticket price increases closer to day of event. What are the Night & other Official Featured Shows? FRIDAY JUNE 22 | BLUE STAR CONNECTION NIGHT with SOUTHERN AVENUE and KATE MOSS & THE CATT PACK. SATURDAY JUNE 23 | CATEGORY 5 NIGHT with NICK MOSS feat. DENNIS GRUENLING and KARA GRAINGER. Ullrs Tavern and Winter Park Pub live music Friday - Sunday. Both are located in downtown Winter Park. Sorry. We are no longer accepting media pass applications for the 2018 BFTT festival. Who do I call for lodging? Please visit our Lodging section of our website. Parking is available throughout town. There is also free parking at Cooper Creek Square, across the street from the Festival Entrance, located at 225, 47 Cooper Creek Way, Winter Park, CO 80482. Handicap parking is available and located on corner of Highway 40 and Rendezvous Way, near Gate Entrance, but is limited to first come. Is there FREE Public Transportation? Yes - visit TheLiftWP.com for schedule information and routes. Please note, buses run until 2:00 a.m. into Winter Park and Fraser only. Call the Free Shuttle Line at 970.726.4163 for Night Shuttle information. We also suggest downloading the RIDEHOP app. Once downloaded, use Ride Code: lift. This way you may find your bus in real time. Each bus has a GPS tracker so you may see the location of the bus on your route. Please call the US Forest Service at 970.887.4100 for the most up-to-date camping information and conditions. Yes, 5-7 various food vendors will be selling food from Bar-B-Que, Burgers, Noodle Bowls, Catfish and Shrimp, etc. Volunteers in various areas needed from Thursday June 22rd thru Monday June 26th. Community Service offered as a non-profit festival! Will alcoholic drinks be sold? Yes, we will have beer at $ 6.00, wine at $ 7.00 and mixed drinks at $ 8.00, along with specials each day! There is also water ($ 2.00/bottle), sold at our Grand County Blues Society tent to help raise money for the Blues in The School Program. Our vendors will also be selling various non-alcoholic products. Kids 12 and under are free in General Admission, when accompanied by adult and no ticket required. We love our sponsors! Please contact us via email or any Grand Blues Society board member to find out what great opportunities there are for Sponsorship to this great non-profit event! Download Sponsorship Brochure at the bottom of the OUR SPONSORS section. How can I become a vendor for the event? What time do gates open on the day of the event? Gates open at 10 a.m. Music starts at 11:00 a.m. and goes until approximately 6:00 p.m.
What else is there to do besides enjoy music during the event? Great food vendors, vendors selling clothing, jewelry, art, etc., and the famous Future of The Blues stage for kids, promoting youth in music. Where can I find information on the Town of Winter Park & Greater Area? Go to playWinterPark.com for the official community website. There you will find an array of activities, hiking/biking trail maps, restaurants, shopping and monthly event calendar and other services. How Can I Perform at Blues From The Top? 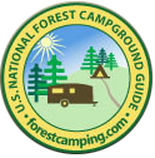 Click here for a list of campgrounds in the Grand County area. Click to download the map below in PDF format. Sign up for our daily newsletter and receive the best and most up to date news right away. Every month we also pick a winner among our newsletter readers. They will receive a full year of our special VIP membership.